Who Pays When Self-Driving Vehicles Collide? Wouldn't it be nice to read the paper, check your email and enjoy a second cup of coffee while your driverless car whisks you off to work in the morning? As you will read here, that reality is closer than many Americans might think. Aside from the new conveniences, autonomous vehicles could also save thousands of lives lost every year in auto accidents. The challenge for regulators, safety advocates and the driving public is managing the transition from our current system to one dominated by fully autonomous vehicles. As with any new technology, there will be several bumps along the way. Who’s at Fault When Robot Cars Crash and Injure People? While your next new car might not fold up into a briefcase à la George Jetson, self-driving cars are no longer a cartoon dream of the far-off future. Manufacturers like Audi, Volvo, Ford and BMW promise a fully autonomous vehicle by 2020. If driverless cars really are just around the bend, what will it mean for you, your commute and your safety while on the road? Robot vehicles could prevent 90 percent of vehicle crashes, according to the National Highway Traffic Safety Administration. Take a spin in Uber’s driverless cars, currently testing in Pittsburgh with the consent of city leaders. 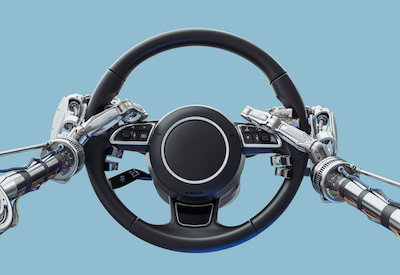 This special report from the American Association for Justice looks at insurance and liability in the age of robot cars.